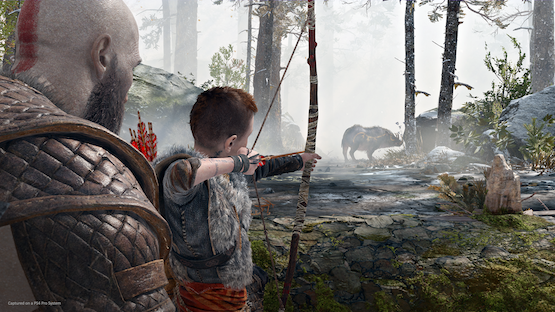 God of War’s highly-anticipated New Game Plus mode recently launched and, by all accounts, it provides quite the challenge. You may have to switch up your tactics, try new combos, and play around with different weapon and armor upgrades. Regardless of the challenge, it’s all in good fun. To add some context to the fun that millions are having around the world, Santa Monica Studio has released an infographic. The infographic acts as a general overview for how players are approaching God of War’s combat. You can check it out on the game’s website. One of the more intriguing stats includes approximately 493, 340 people having earned the Platinum trophy, as of August 2018. It’s an impressive number, especially since the Valkyries aren’t easy to vanquish. Sigrun, the Queen and final Valkyrie, has an average kill/death ratio of 24 to 1. On “Give Me a Story” mode (the easier difficulty), Sigrun kills players 12 to 1. For “Give Me a Balanced Experience,” her kill/death ration is 34 to 1; “Give Me a Challenge” sees her k/d ratio slightly increased to 36 to 1. It should come as no surprise that the Queen Valkyrie’s k/d ratio on the hardest difficulty, “Give Me God of War,” is 100 to 1. Santa Monica Studio also tracked the number of deaths since launch. The total number of deaths comes to an astounding 690, 267, 490–of this number, 94, 882, 964 have occurred in “Give Me God of War” mode. Additionally, the infographic lists the most popular weapon upgrades. Hel’s Touch and Ivaldi’s Anvil are the favorites for Kratos’ Leviathan Axe. Players seems to favor Spartan Charge and Tartarus Rage for the Blades of Chaos. Interestingly, but not surprisingly, the latter weapon gets the most love when it comes to upgrades. 1.6 million players have fully upgraded the Blades of Chaos, while 1.4 million have given the same treatment to the Leviathan Axe. It would be interesting to see what stats reveal about how players approach combat in New Game Plus. Here’s to hoping Santa Monica Studio delivers another infographic in a few months’ time.